Hosta fortunei var. 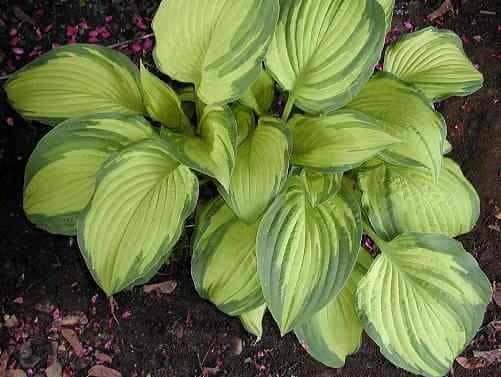 albopicta is medium-sized hosta, with creamy yellow heart-shaped leaves edged in dark green bearing mauve flowers on leafy stems up to 75cm high in July-August. 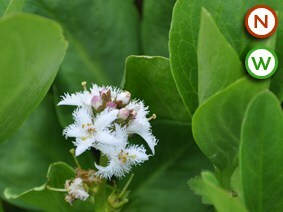 The creamy yellow centres gradually turn to green. 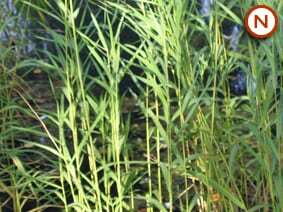 It prefers part or full shade where it will tolerate dryness, but is ok in full sun if kept wet.